It all began with dancing goats. Or so the legend says. An Ethiopian goat herder noticed his goats became frisky after eating the coffee cherries from a local shrub. He wanted to dance too, so he downed some of the berries, caught the buzz and partied until the sun came up. African tribes then started to combine the cherries with fat to form little balls of energy. Thanks to the cherries, coffee is actually considered a fruit, although it is much better known for the caffeine it contains. Caffeine is a stimulant that acts on the brain in the same way as heroin and cocaine, though with much milder effects. Caffeine effectively bumps up the levels of the body’s natural antidepressants, serotonin and dopamine, leaving people feeling happier and more empathetic. No wonder it became the daily drinking fuel of the future. 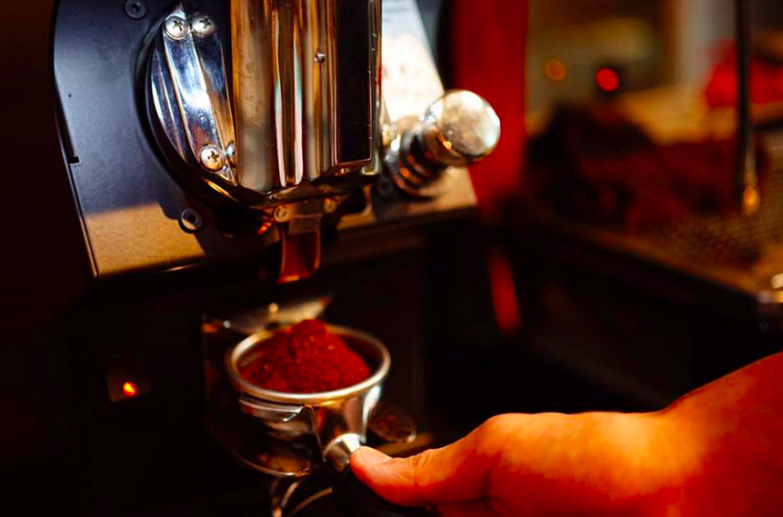 Owner Herbert Lau learned from his time at Coffee Academics that Italian coffee has the best flavour and intensity for him, so he set up shop in Kennedy Town serving coffee prepared with a manually operated lever espresso machine and imported Italian-roasted Musetti beans. Tucked away on a street of building merchants and mechanics, this has become a quiet success story. 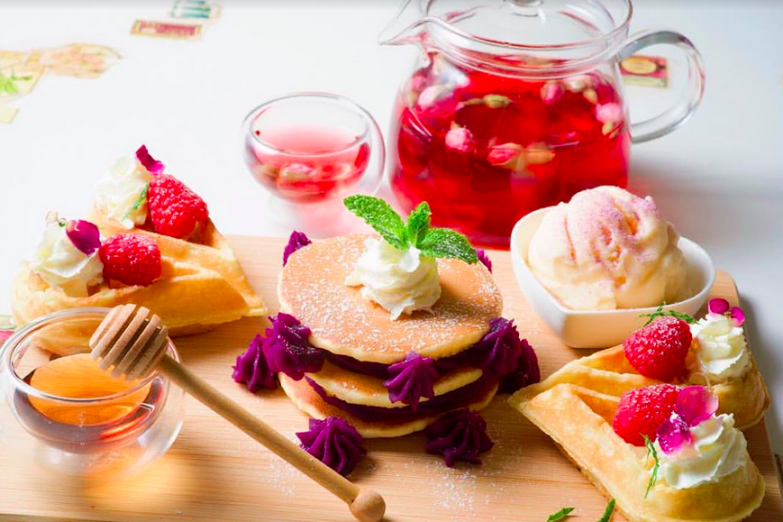 With a bounty of magazines available, Wi-Fi and a full menu of every kind of sweet and savoury topping you can think of for your classic waffles, this is a nice spot for some me time. This teensy café is beloved for its passionate baristas, aromatic roasts and tasty evening espresso cocktails. This little local has got that cool community vibe going that makes you want to hang around and pretend to work. They've got espresso from Rwanda, coffee filters from Ethiopia and their chosen bean is from Market Lane Coffee in Melbourne. Tasty brunch options too. Their outdoor laneway is perfect in the warmer months, and they keep coming up with funky dishes like sea salt caramel pancakes topped with homemade banana jam. Throw in a cup of coffee and all-day breakfast and you’ll be a regular. This is a treasure of a café sitting atop Pier 8 in Central – beautiful brews, charming staff and a sunny terrace to enjoy your cuppa. It's also part of a collaboration with The Nesbitt Centre to employ baristas with learning disabilities. Worth their chops with their Japanese siphon coffee, French press, hand grinders, machine grinders, AeroPress, Moka pots and every other method of brewing coffee imaginable. Be careful if you hold business meetings here though – there are often start-up founders on the prowl for good ideas. The outlet on Gough Street is nestled within a clothing shop and has a delightful little outside area from which you can sip your coffee and indulge in one of their famed ice cream sandwiches. You can also find them in Causeway Bay, Wanchai and Wong Chuk Hang. It’s almost the worst thing to reveal this place’s location as their coffee is so nice that we want to keep it all to ourselves. Enjoy their delicious brews and the education they give you with each cup’s origins when you visit. 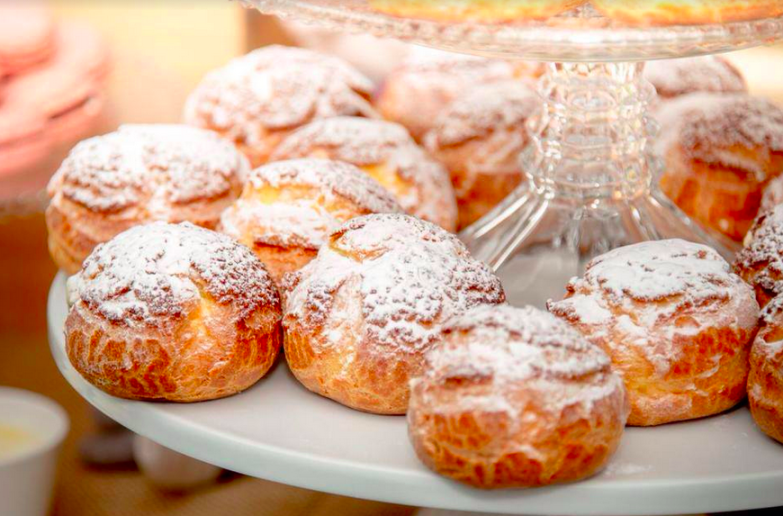 They have a load of bakery treats too – and waffles, did we mention the waffles? A killer courtyard on a quiet street in Sheung Wan and a beautiful bakery next door. We recommend coming early, because getting a table here on a weekend can be a fight. 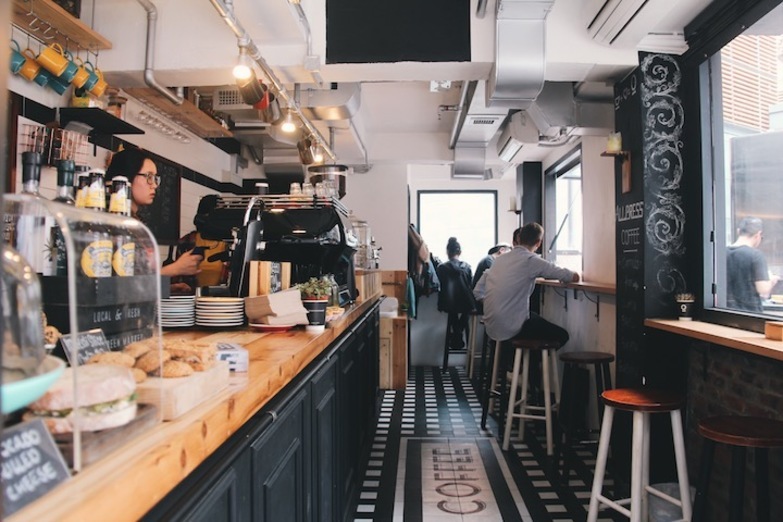 This quirky café is the only one to stock Blue Bottle Coffee here in the 852, which will cause coffee aficionados from the States to rejoice. A cup of this will whisk one back to San Fran or even Brooklyn. Home of five-times Hong Kong Barista Champion, World Barista Champion 2nd place in Rimini, Italy, and recent winners of the Hong Kong Brewers Cup and World Brewers Cup 4th Place, you can be sure these guys do good coffee. A constant inflow of people who do their work here because they are 'creatives' (read: freelance and don’t have an office) means an always buzzing environment. 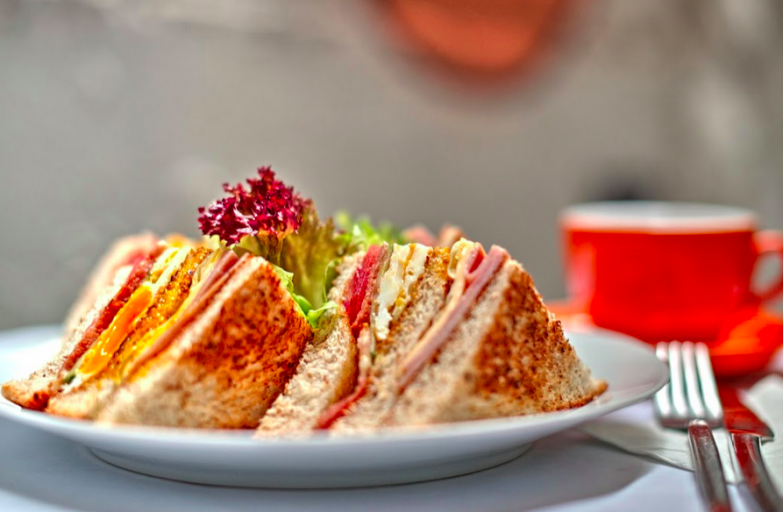 This neighbourhood café offers coffee favourites as well as speciality drinks like almond milk coffee, kefir smoothies and options like cauliflower fried rice for the vegans/paleos out there. These tranquil steps up Shing Wong Street were made for sitting, and that is precisely what you can do over a cuppa at this cool community café. Truly beautiful food and decor too. Amazing espresso made with a sweet Slayer machine, roasted by coffee scientist Keith Fong from Blooom Coffee House in Macau. This little haven of a coffee shop showcases a large roasting machine in the window that produces heady coffee scents, drawing in all who pass by. These guys care a lot about their coffee. 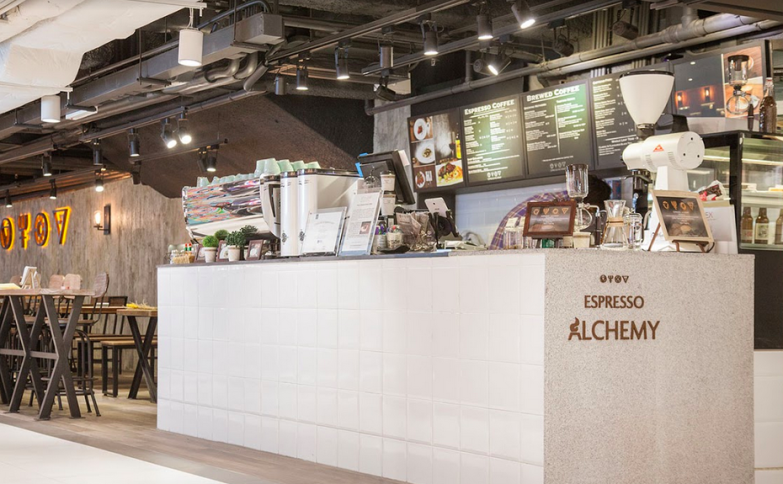 They’ve won multiple awards and have opened their fourth outlet (another in Central, one in Wanchai and one in West Kowloon), and they have an unreal design and very high-quality coffee. A magical three-headed Black Eagle coffee maker is used to magnificent end, given the latte art they skilfully execute. Bagels and muffins and beautiful brews from former World Latte Art Champion, Scottie Callaghan at affordable prices! It's not a dream, it's a cool cafe where the team roast the coffee fresh every weekand they're open from 6am for a perk up and open late so you can also drink wine til the wee hours. This is a cult favourite with many java drinkers in HK, even more so given they distribute the blessed bean in store. 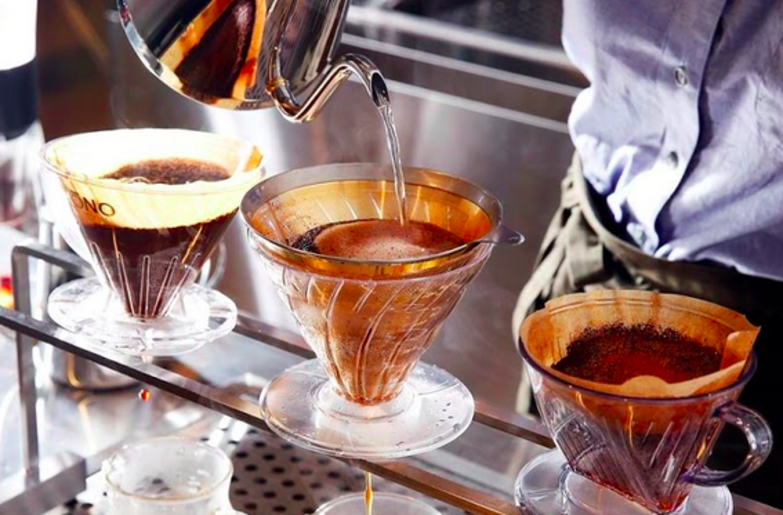 Japanese drip coffee is a must here, and if you are into variety, you'll be pleased to note that they have a 'coffee of the week' to keep things fresh. 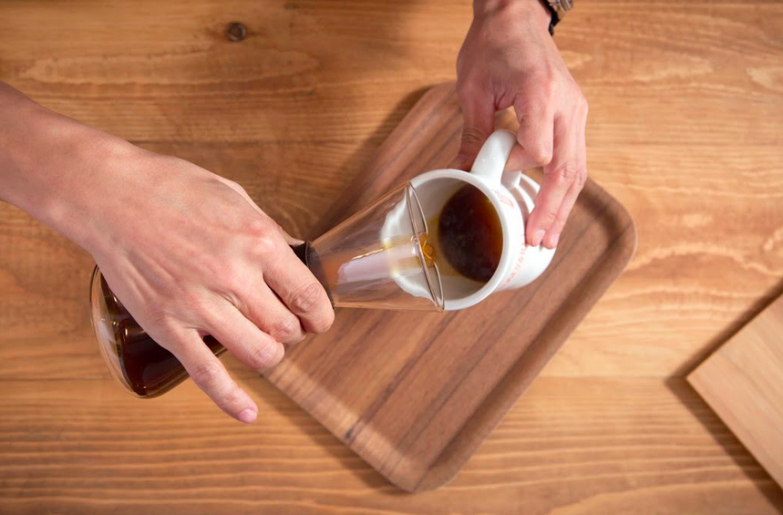 This sweet little spot is hard to find, and for those who like to continue their coffee education, these coffee purists aren’t afraid to tell you how you should take your brew. This utterly strange café is next to Seoul Bros and constantly sports queues out the door of the tiny lane it inhibits. Cats in the doorways, cats cradled in the arms of the baristas, postcards sold and stamp collections displayed, we wouldn’t necessarily recommend it for a bite, but it is an interesting place to stop in for a fruit tea, coffee or fruit soda to sip over a perplexed expression. 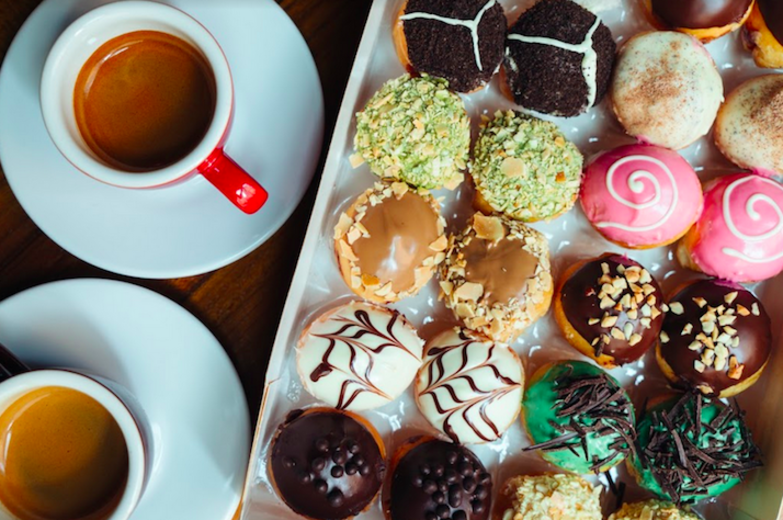 More about the doughnuts than the coffee, but if you find yourself with a morning sweet tooth, this place’ll do the trick. Famous for their espresso, unique cube-shaped baked custards and Japanese tea-ceremony-like experience, Omotesando Koffee was a huge, huge hit back when it was in Tokyo before the shop closed in December 2015. 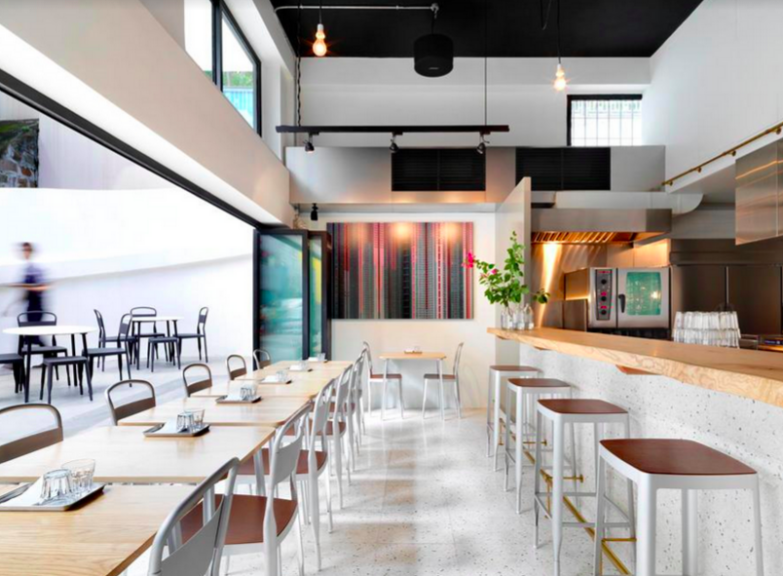 Hong Kong is the café's first international outpost and retains much of the original shop's minimalist design along with its signature products. This place will transport you to an Australian coffee shop with its fresh food, single-origin beans, homemade desserts and even a craft beer or two. These guys have been on a rampage and opened another two stores last year. As the name suggests, they educate their customers about all aspects of their coffee – crop to cup. 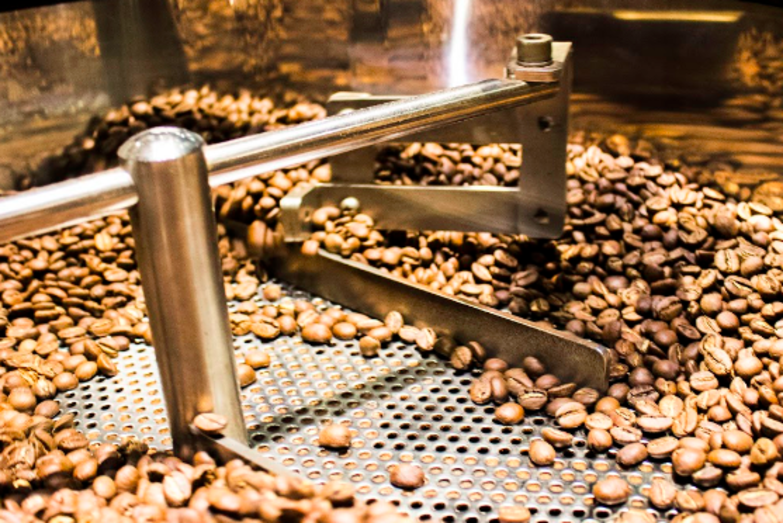 This is cool, because from the initial selection of coffee origin and roasting method to the micro-tuning of blend proportion and cupping, each step is done with care, passion and an uncompromising quest for top quality. Tough to get a seat owing to their sought-after Italian beans, you’ll find this place littered with people outside loitering on benches and tall tables looking cool and sipping slowly. 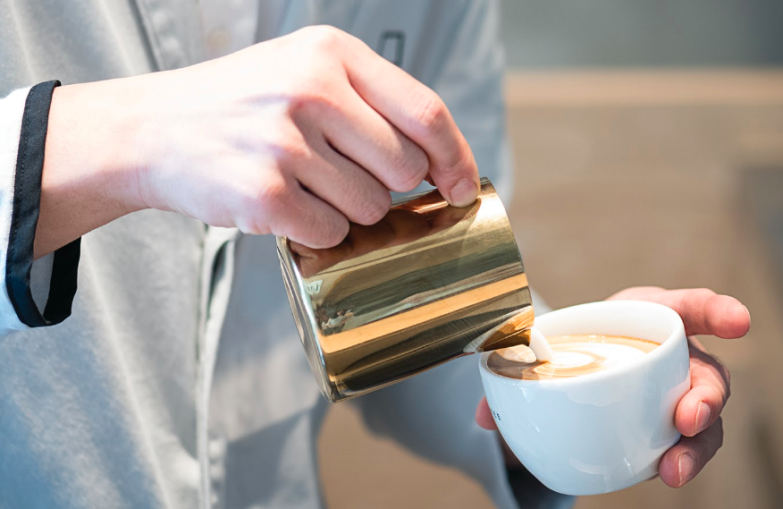 A small institution, with another little shop in TST, this small-batch speciality coffee roaster is dedicated to sourcing and roasting superior Arabica coffee beans from select origins. They also boast a World Barista Championship judge amongst the staff and take their coffee prep seriously. 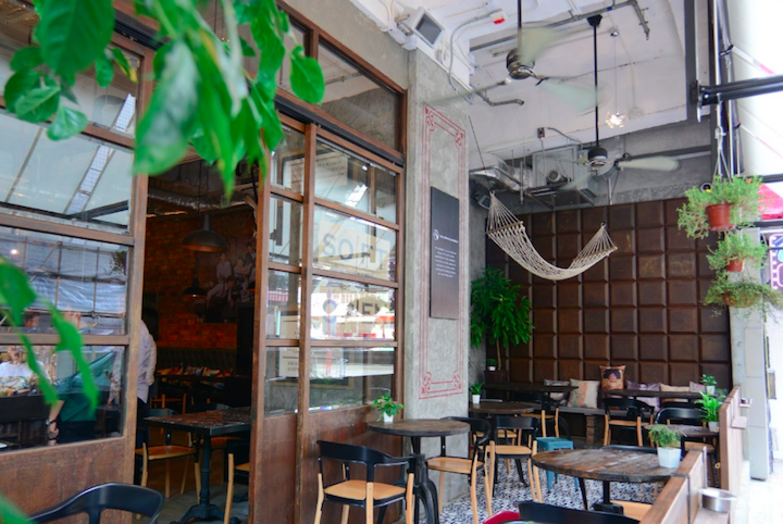 Freshly roasted coffee beans, expert baristas and a typically cool decor, this coffee shop is a gem amidst the laneways of Sai Kung village. They serve breakfast and brunch with warm, affable service and probably the best espresso you will find all the way out there. This peculiar little Korean place in The ONE sells the best little thermos we’ve found in this fair town and the coffee is good too. The very eclectic menu includes freshly baked pretzels, Chinese desserts, granola and garlic bread, as well as Indian naan. It’s strange, but it’s strangely good too. They define themselves as 'A Bookshop, Café, Creative, Design, Think, A Vibrant Cultural Cinegems, Young, Force, Gift, My Gym, Elegant, Classe, A Boiling Circle'. 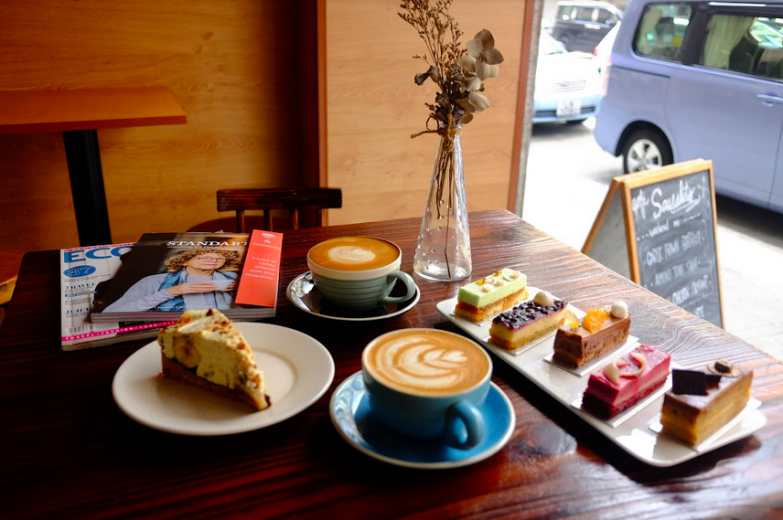 After about the fifth descriptor, you’ve lost us, but this bookshop/café/cinema is a mecca for those who like to seek out interesting literature whilst waiting for their indie film to start, sipping single-origin beans. Half the shop is a bookshop merged flawlessly with a café that is attached to a cinema that plays both quirky and mainstream flicks. More of a secret society than a coffee shop, they have a weekly public function called 'coffee premiere' where local coffee enthusiasts gather and taste unlimited brewed coffee from 6:30-10pm. Particularly proud of their coffee in its original form, consumed plain, without sugar or milk. Diehard. Single-origin beans, coffee workshops and a house blend that is smooth but punchy. You can also do an espresso tasting set for $68 to broaden your coffee palate and ensure a jittery afternoon. 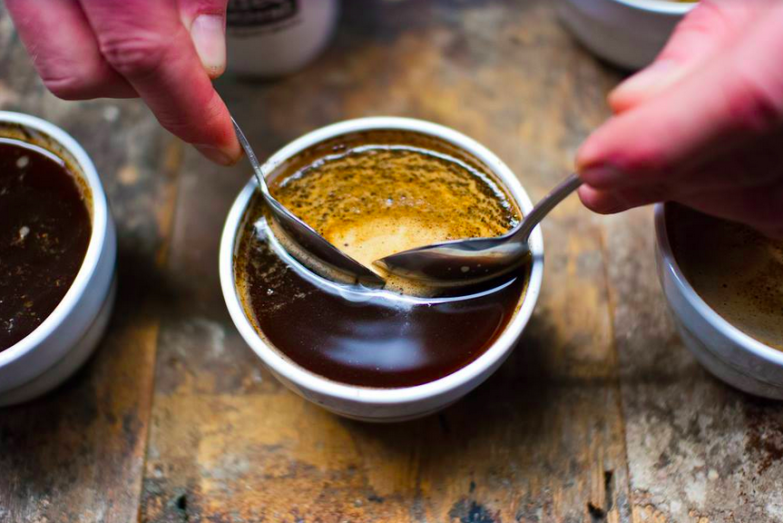 Their coffee is worth the trip, but it's their ethos that will make you a brand zealot. The concept is to keep our world sustainable yet still maintain high-quality products, and all the energy they consume comes clean from Zero Carbon Park's own biofuel generators. This might remind you of friend's house, if said friend was ultra trendy, had an eye for interiors and pillaged for wooden crates. A hybrid café/gallery/florist, if you're into design and aesthetics and like flowers and coffee, this would be your ideal cafe. They have many a brew to sample, such as the popular Doctor Ng with its caramel and toasted almond notes. Great coffee and lovely food in Sham Shui Po. Here they host entertaining events like stand-up comedy and offer an all-day breakfast that will keep you going. A gander at the team’s credentials looks like a trophy room, with 'world champion siphonist' just one of the many accolades. 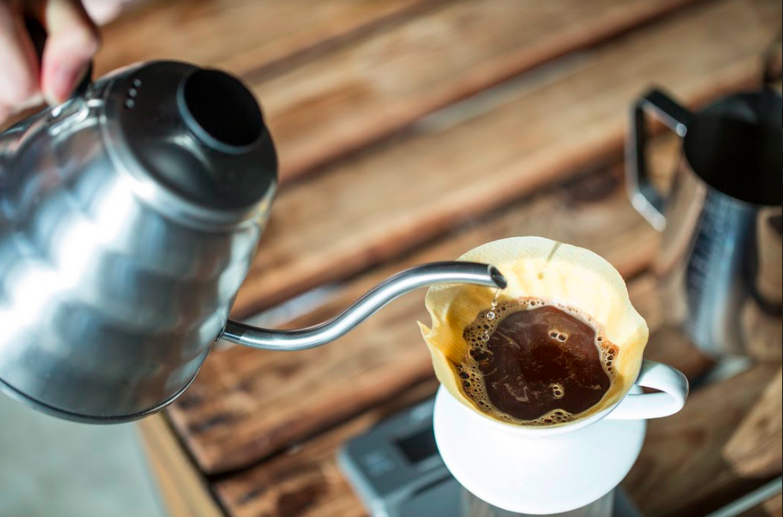 Make the trip and you'll be treated to brew-tiful beans and some great latte art too. Their space is extremely funky, and they provide a 'barista experience' where they teach you how to grind beans, pull espresso and make a proper latte. 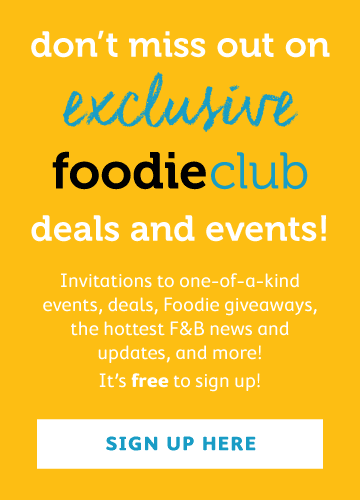 Everything they put their hand to – from soups and salads to grilled cheese sandwiches made with three types of cheese – it's all gold. The coffee is what we are here for though, and the warehouse surroundings are the cherry on top.